Now, 16 advance to the second season for a grueling four-round fight for championship bliss.The postseason is a test of mental toughness, physical stamina, execution, coaching and no shortage of good fortune. It's also fairly predictable, at least in the opening rounds. 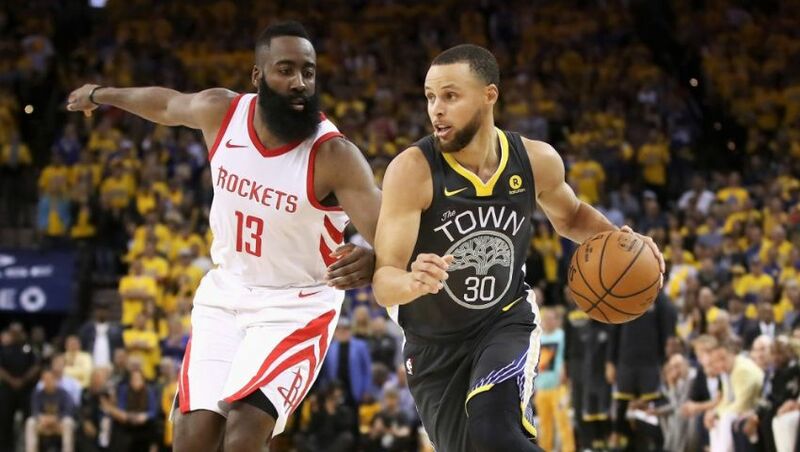 Last year, 10 of the 15 series were won by higher seeds, and three of the "upsets" were authored by either LeBron James or the Golden State Warriors. In 2017, it was 13 out of 15. This is not March Madness. If your projected playoff bracket calls for a slew of upsets, you're probably doing it wrong. Our picks aren't straight chalk, but we are more interested in likelihood than boldness. This might be even more lopsided than the seeding suggests, as the Pistons entered the playoffs with their backup alarm blaring. A full-strength Detroit squad would be overmatched here, but with Blake Griffin playing on one leg while he recovers from a knee injury, the NBA might consider adopting a mercy rule for this series. We've waited all season for the Celtics to be who we thought they were, and they still haven't flipped the switch. 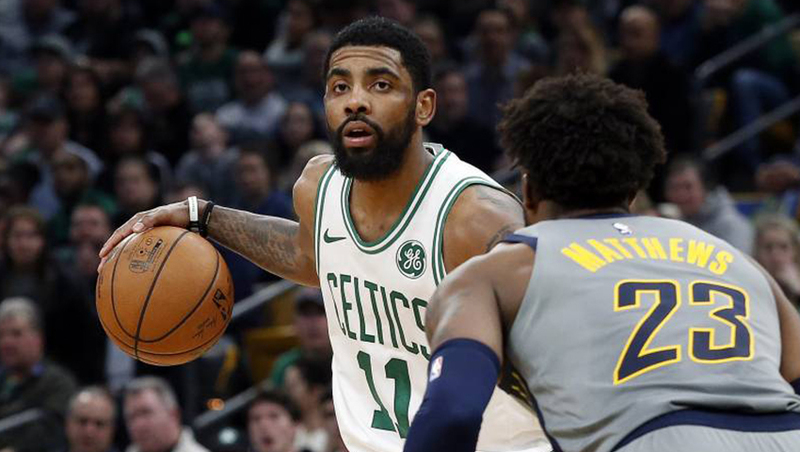 At this point, maybe it's foolish to keep waiting, although Gordon Hayward's encouraging finish (14.7 points on 60.0/36.4/79.2 shooting over his final 14 games) at least gives more of a reason to believe beyond the on-paper talent. We also waited for the Pacers to feel the sting of Victor Oladipo's absence, and it became much more noticeable in the second half. Indy went just 10-14 with a minus-1.1 net rating after the All-Star break. Boston's inconsistency can be maddening, and it might get worse with Marcus Smart on the shelf. But the Celtics have enough to escape this series. Round of applause for the Nets returning to the postseason, and another round of cheers for D'Angelo Russell quieting his critics with his All-Star emergence. General manager Sean Marks quietly assembled an intriguing roster, and coach Kenny Atkinson made it go by forming a three-heavy attack around multiple shot-creators. If you pooled these two rosters together, how many Raptors are taken before the first Magic player comes off the board? It has to be at least three, right? Nikola Vucevic's All-Star breakout was fun. Contract-year Terrence Ross had some electric moments, too, and he seems destined to tilt the scales one night by dropping a 30-piece on his former team. But Kawhi Leonard, Kyle Lowry and Pascal Siakam are too much for the Magic to handle. The Clippers don't have a star. When DeMarcus Cousins is rolling and Draymond Green is flying around the hardwood, the Warriors have five. L.A. may have had the most surprisingly successful season in the league, but it stops here. Just like last season, the Jazz shifted to overdrive once the calendar flipped. No one played better defense in 2019, and only two teams had higher net ratings. But the basketball gods didn't shine on Salt Lake City when setting this matchup. The Jazz struggle finding consistent scoring around Donovan Mitchell, and it's too much to ask the sophomore to go toe-to-toe with back-to-back scoring champ James Harden. Utah has looked like a second-round squad for the past four months, but the seed scrambling on the final night took that off the table. Shout-out to the Blazers, who seemed primed for regression from last season but played their way back into the West's No. 3 seed. The Damian Lillard-CJ McCollum backcourt produces binge-worthy highlight reels, and Enes Kanter's offensive weapons are razor-sharp. Portland didn't collect a prize for its regular-season work, though. OKC is a brutal draw. 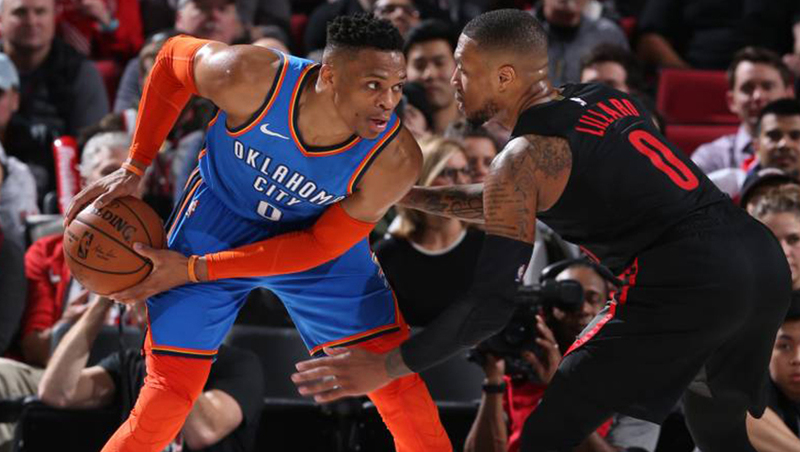 The Thunder swept the season series 4-0—the only other team with a 4-0 knockout of its first-round opponent was Milwaukee—and have the length and athleticism to pester Portland on the perimeter. Russell Westbrook and Paul George are statistical prodigies, and Steven Adams could be the difference-maker with Jusuf Nurkic out. This could be a popular upset pick: The Nuggets have the postseason's youngest roster, and the Spurs have Gregg Popovich. San Antonio alsohas a defense that can be dominant and offensive stars in DeMar DeRozan and LaMarcus Aldridge. But Denver has Nikola Jokic, a nightly triple-double threat and the best player in this series. It also has Jamal Murray, an ignitable scorer and shot-creator who can make the Nuggets nearly unbeatable when he's hitting. The Nuggets play better on both ends and boast superior depth. That should be enough to work around their lack of experience.